Do you have many trinkets that needs boxes to be put in? Well, why not put them in a box from Fabergé?! This one was made by workmaster Henrik Wigström, sometime between 1903 and 1908! 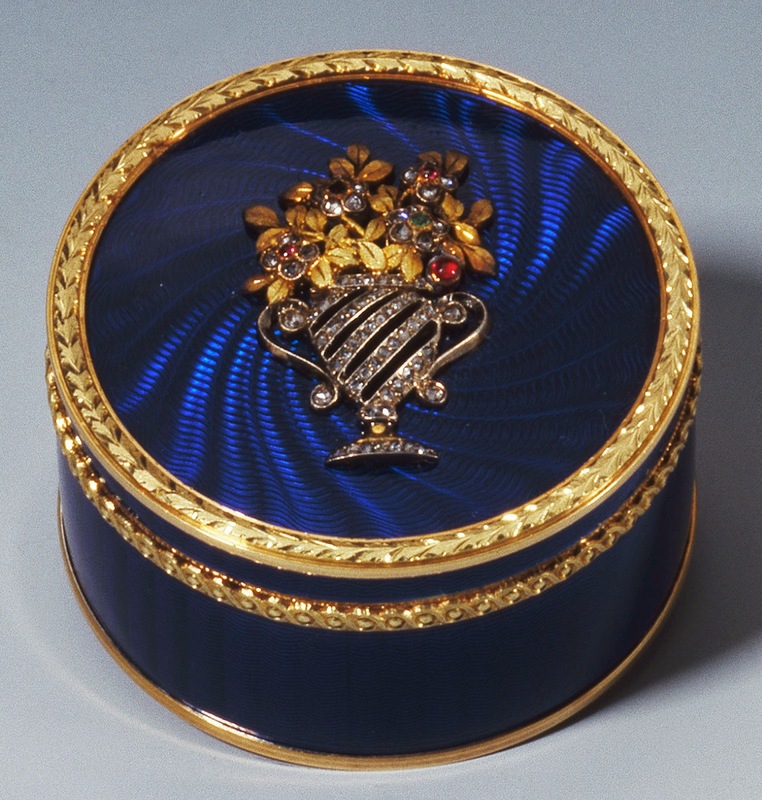 This little circular box is made of red gold, covered in translucent royal blue over a guilloché background. The borders are decorated with leaf ornaments in green gold. The lid is set with a flower basket of rose-cut diamonds, which holds flowers of diamonds, emeralds and cabochon rubies with gold leaves. The dimensions of the box are 0.9'' x 1.4'' x 1.4'' (2.2 x 3.5 x 3.5 cm), and since 1953 it has been part of the Royal Collection.